Clean and Simple cards are great fun. 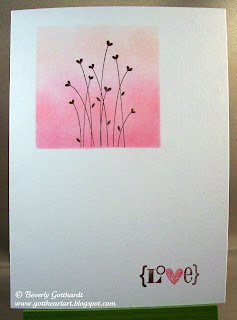 With some thought, ink, and stamps you can create just as dynamic a card as you do with a lot of supplies. Take for instance: a punched or cut out 2 1/4" square mask, some sponge daubers, 3 shades of pink, one stamp set, and a couple of markers, you've got yourself a very attractive Love You card. Supplies: White 4" X 5 1/2" card blank Halcraft, Stamps: SU-Valentine Defined, Ink: SU-Chocolate Chip, Melon Mambo, Pink Pirouette, Blushing Bride, SU markers-Melon Mambo, Chocolate Chip, Coluzzle square shape cutter template. Very sweet CAS card Beverly!!! Just love this one Beverly! Thanks so much for joining us again. This is lovely - I do like the heart grass, the sweet pink heart - it's fab! You are SO right about CAS cards! Some creativity and ink and stamp are just the key to it! 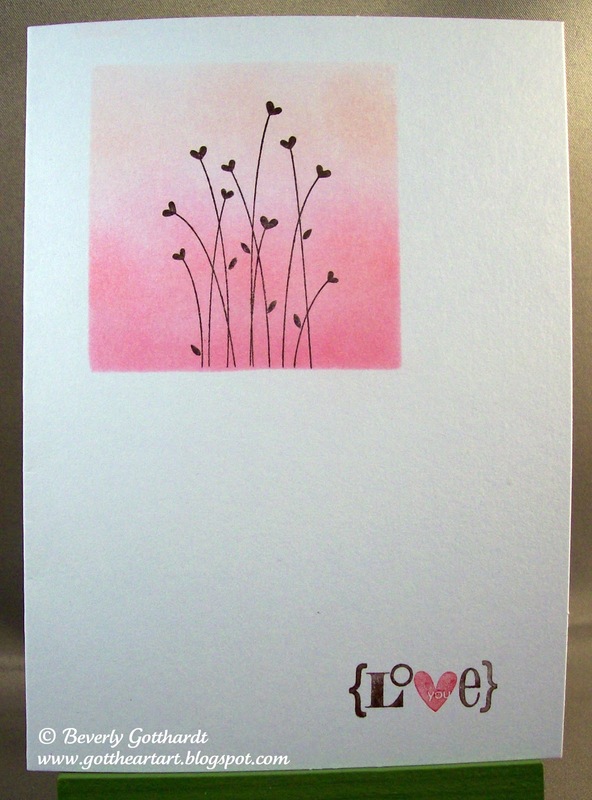 Love your pretty pink card! So glad that you join the fun with us at CAS-ual Fridays! So sweet and pretty, perfect in pink! Sweet is right! This is so CAS and so pretty! Thanks for playing along at CAS-ual Fridays! Just darling Beverly. The sentiment is too cute! i appreciate your point of view but you should have worked on design too.